This is only my third time taking part in a swap and it was a lot of fun. The swap is very well organised by Sharon, check out her Instagram profile, she hosts a lot of really fun swaps. 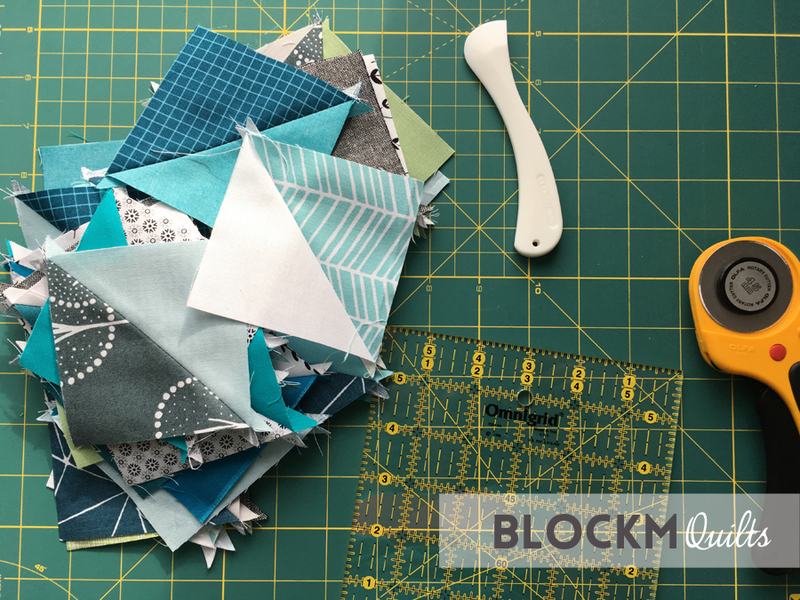 I signed up for the Half Square Triangle HST Mini Swap. We could choose between 2", 3" or 4" squares (unfinished), I opted for 3". The finished size was to be either 18" or 21" square using either 6x6 or 7x7 units. I used 6x6 units. 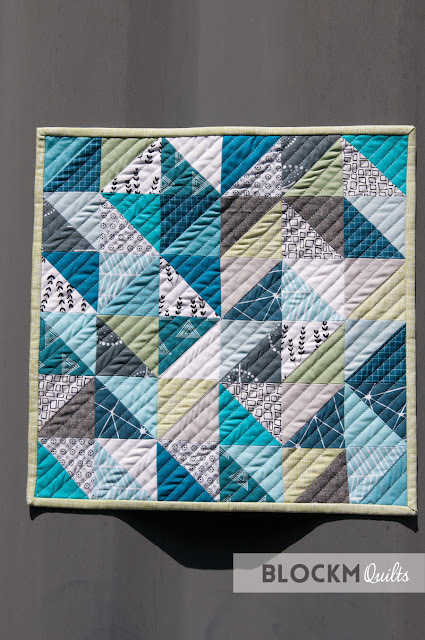 As it is a secret swap I cannot reveal my partner yet, but she likes cool colours so I opted for turquoise, gray, white and a little bit of green. I mixed solids and prints and I think that worked really well. 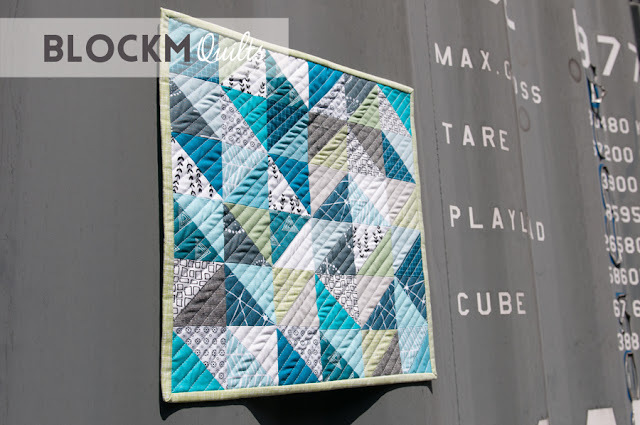 I used double sided tape again and taped the quilt to a converted sea container, which is now an outdoor bar (pretty cool!). 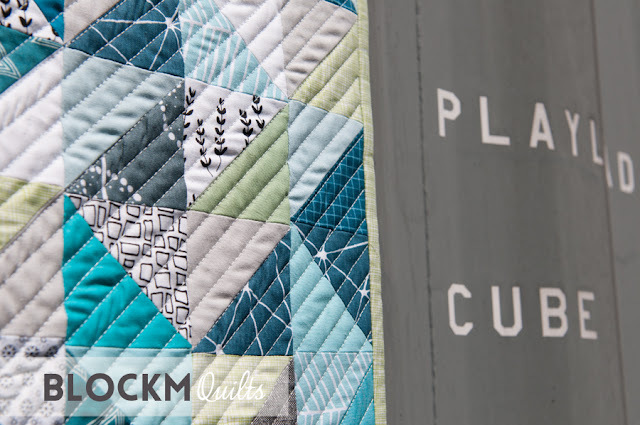 I didn't have name for the quilt until that photo shoot. It just had to be 'Play Cube' taking from the stickers applied to the sea container. 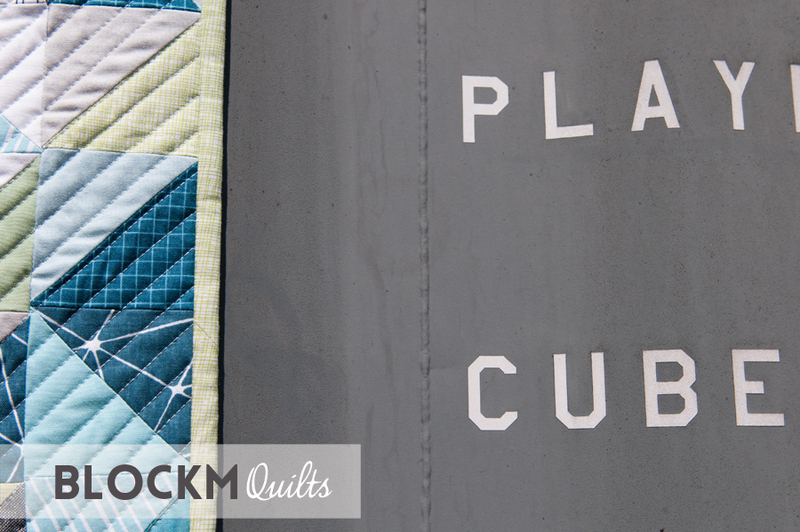 Some quilt names just fall into place. Even though HST are not my favourite thing to sew (why is that squaring off process ever so tedious?) 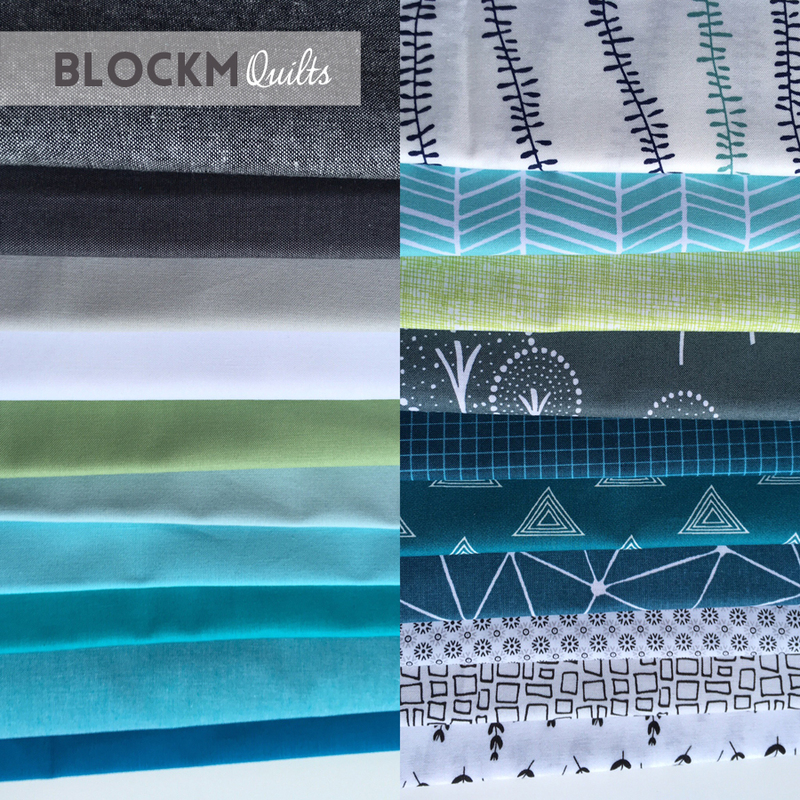 I really enjoyed working on that mini quilt. An I hope my partner likes it as much as I do. I cannot adjust the pressure foot pressure and that is causing the fabric to shift. I am currently saving up for a new machine. All other quilts will have to wait, but this one had a dead line. Partner, I hope you like the quilt despite the little flaws. Love your mini! Hope you have a machine that makes you and your quilts happy soon!